Acrylic Style: Happy Birthday Harry Houdini! 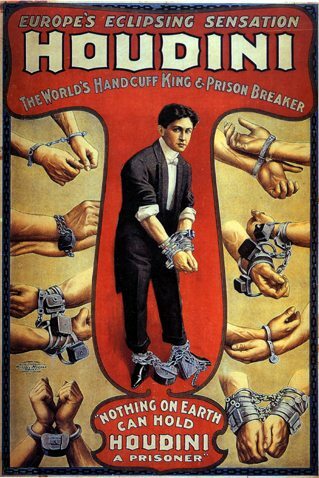 Today is the 137th birthday of magician/ escape artist Harry Houdini. Houdini, born in 1874 is better known for his Chinese Water Torture Cell act where he was held upside down, locked in glass and had his box filled with water.